We’re a printer ink and toner cartridge recycling drop off location for Calgary, Alberta. Recycling ink and toner cartridges has never been easier! Alberta Toner allows you to recycle printer cartridges for free from our drop-off location in Calgary Alberta, Canada. Sustainability, and offering households and offices an environmentally friendly alternative has been the foundation of our operations since 1992. Components put through our remanufacturing facility save nearly 3 lbs of waste from entering landfills with each cartridge. Roughly 90% of each printer cartridge is salvaged, some parts put back into rebuilding remanufactured cartridges, others sent away to be recycled into new products. Upon delivery our drivers are happy to collect any cartridges your household or business would like to dispose of. Our logistics make it easy for you to recycle cartridges! Not sure what to do with your unused or old printer? Contact Alberta Toner to learn about our printer recycling options, available to Calgary, Alberta Canada and surrounding areas. Bring in your empty laser and inkjet printer cartridges for recycling! We are a cartridge recycle drop off location servicing business and households across Calgary. Don’t see your brand? Contact us above. 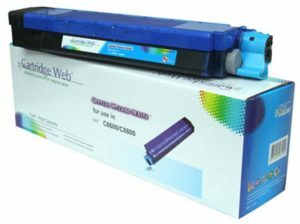 New to Alberta Toner Cartridge Recyclers? We’re offering $10 off your first order when you bring in your old, empty or lightly used cartridges for recycling. Just show us this coupon and we’ll take $10 off your first purchase. Recycling is at the heart of all operations at Alberta Toner Cartridge Recyclers. Drop off your empty, un-used and dated OEM ink or toner cartridges to the Alberta Toner warehouse and we’ll make sure your finished products avoid landfills and find their way into our ink refill and toner cartridge recycling program. In order to save nearly 3 lbs of waste from entering landfills, Alberta Toner Cartridge Recyclers breaks down your empty or dated toner cartridges. Each component is thoroughly inspected and either sent to be recycled, or put back into circulation in a remanufactured cartridge. Sometimes we can find a use for your nonworking or unwanted printers. Specific components will find life in bringing old printers back to life, while others are broken down for recycling. Contact us to find out if we can find a use for your old machine. Sell Alberta Toner your slightly used or unwanted printers! We’re happy to help out and find a new home in need of household or business format printers and devices. Alberta Toner Cartridge Recyclers is one of the few remaining in-house cartridge remanufacaterers. It’s our duty to reduce the annual waste by providing sustainable printer solutions for individuals & businesses across Canada. We turn your recycling or empty printer cartridges into remanufactured usable products! Alberta Toner’s in-house remanufacturing facility is equip with all the latest technologies necessary to break down your dated printer cartridge components. Some parts will find their way to recycling, others will be put back into action, avoiding landfills & reducing our carbon footprint. Browse all our printer supplies here.